The extensive character backgrounds and relationships are fascinating, especially how they’re weaved into the plot. But like all series that have a ton of characters (such as Game of Thrones and The Wire), it’s hard to keep track of who knows who and how. One of the main themes of the show is family so it makes sense to create the various family trees in the series. For this project I used Family Echo. All names in gray are a deceased person. Vito Spatafore is Richie Aprile’s nephew, as is Jackie Jr. Adrianna is also Richie’s niece. Thus, Vito and Adrianna are both Jackie Jr.’s cousins. This would make them all cousins to each other. Vito’s wife, Marie, is cousins with Phil Leotardo. I couldn’t much more information about the Leotardo family (formerly known as the Leonardo family) so I left them out of this post. Marie is played by Elizabeth Bracco, Lorraine Bracco’s (Dr. Melfi) real-life sister. 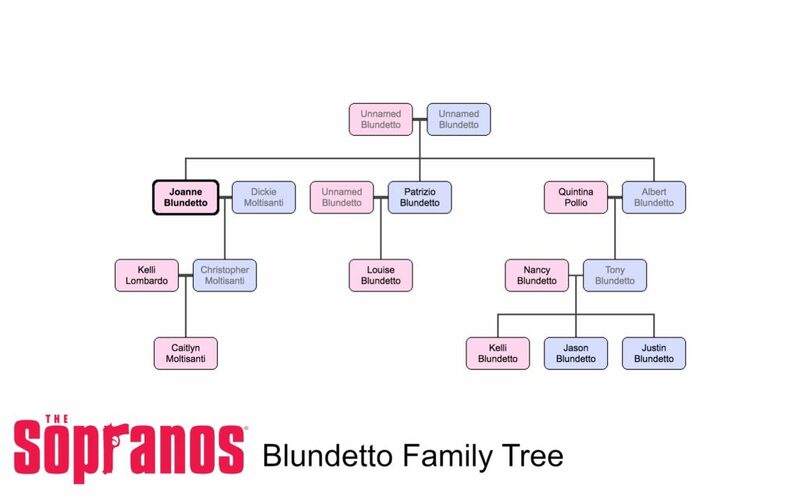 3 family trees that are all interconnected: Soprano, DeAngelis, and Blundetto. 1st: Corrado “Junior” John Soprano, Jr.
It’s never discussed in the show but in a deleted scene, it’s mentioned that Patsy and Philly (Patsy’s late identical twin brother) Parisi were Tony’s cousins on his mother’s side. That would also make Tony Blundetto related to Patsy as well (see Blundetto family tree). A video of the above-mentioned scene (where this relationship was referenced) existed in the past on YouTube. Unfortunately, this video has been deleted and I cannot find it anywhere else recently. This makes Chris 1st cousin once removed to Carmela and 2nd cousin to Meadow and A.J. It’s said, especially during the first few seasons, that Carmela has an unnamed sister. All that is mentioned is that she had “empty nest syndrome” (meaning she has children) and she went on Wellbutrin. I wanted to put Brian in the tree but it’s never mentioned how he is related to Carmella. 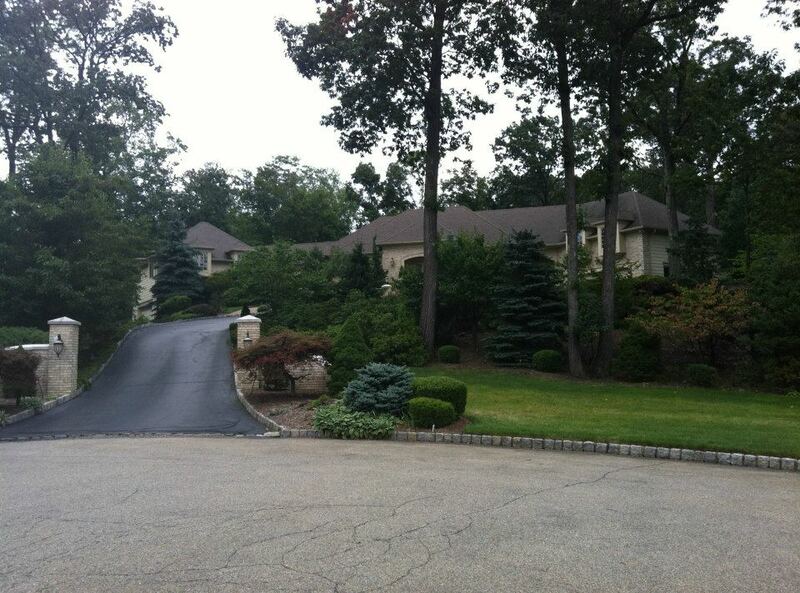 Tony Blundetto: His mother, Quintina, is sisters with Tony Soprano’s mother, Livia. 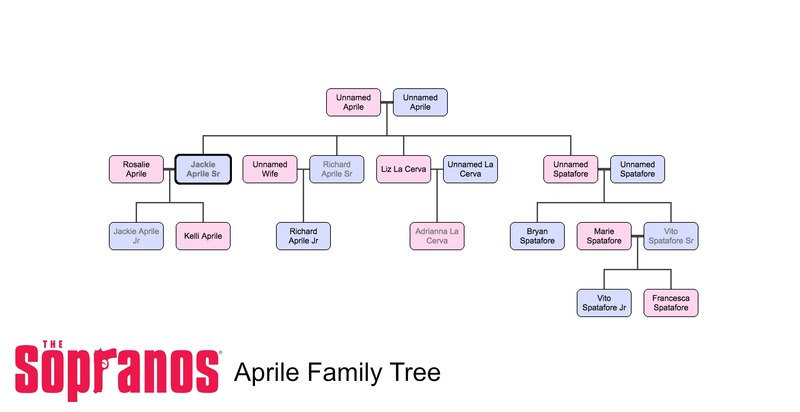 This makes him first cousins with Tony Soprano and his sisters (and possibly Patsy; see Soprano family tree). Christopher: His mother, Joanne, is sisters with Tony Blundetto’s father, Albert. Chris’s father is Carmela’s cousin (explained in the DeAngelis Tree). Uncle Pat (Patrizio): The uncle with the farm where all the bodies are buried. He is Christopher and Tony B’s uncle. Tony Soprano refers to him as an uncle but they are not actually related. Tony Soprano was called “Tony Uncle Johnny” because his father’s name was Johnny. Tony B was called “Tony Uncle Al” because his father’s name was Alfred. Tony Soprano also mentions that Tony B was also called “Tony Uncle Philly” for a little while. I’m assuming that Quintina Blundetto was married or in a relationship with a man named Phil after her husband (Alfred Blundetto) died. Tony Soprano mentioned that Phil has also passed away. Since I couldn’t find anything about him, I left him out of the Blundetto family tree. In the episode where Carmela’s father, Hugh, has a birthday party at the Soprano residence, Tony B is sitting and drinking with Joanne Blundetto, Christopher’s mother. He calls her “cuz” but this doesn’t make sense because Joanne is his aunt (his father’s sister). This often confusing, especially for new watchers. 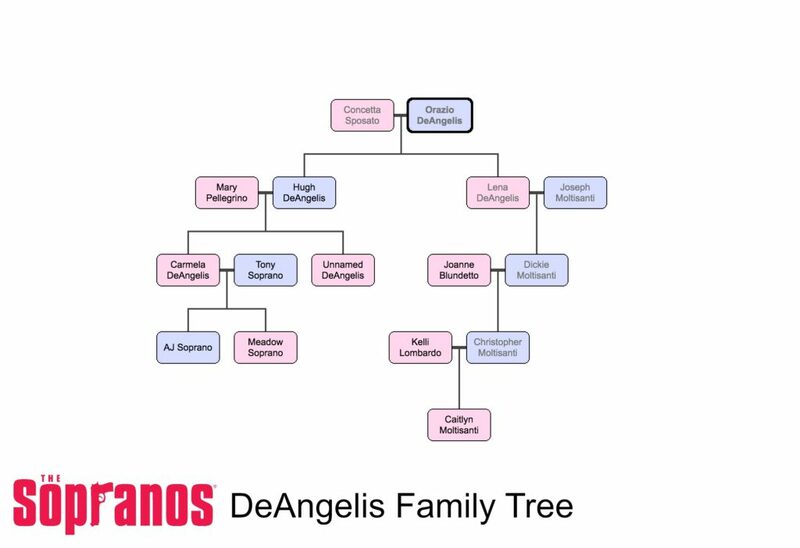 Explained in the DeAngelis family tree: Christopher’s father, Dickie Moltisanti, is Carmela’s cousin. Thus, Christopher is 1st cousins once removed with Carmela (not Tony) and 2nd cousins with Meadow and A.J. Explained in the Blundetto family tree: Christopher is 1st cousins with Tony B (through his mother and Tony B’s father). Tony Soprano is also first cousins to Tony B (through both their mothers). In other words, both Christopher and Tony Soprano are first cousins to Tony B, but not to each other. Dickie Moltisanti was a soldier in Johnny Soprano’s crew. He was very close to Tony Soprano, almost like a big brother. Because Dickie died while Chris was only a baby, Tony always looked out for Christopher and treated him like family. I can’t find the scene but Adriana also says this to an FBI agent. She says that Joanne Moltisanti is Tony’s distant cousin from back “in the old country”. This could be true because people from small Italian villages, like Avellino, immigrated together to America. There’s a good chance a lot of people in these villages were distantly related because of the small population size and lack of modern transportation. In one episode, Junior is under house arrest and is going stir crazy. He calls his parole officer and asks to go to the funeral of someone he claims to be a relative. The parole officer doesn’t believe him. Junior insists it is a relative because the whole village of Avellino settled in the Newark area so they had to be related somewhere down the line.